Linh Trieu is an invaluable and frequent volunteer with the Children’s Foundation of America. She is also an employee of our partner organization, Trinity Youth Services. She has worked there for 15 years as the Controller in the finance department. 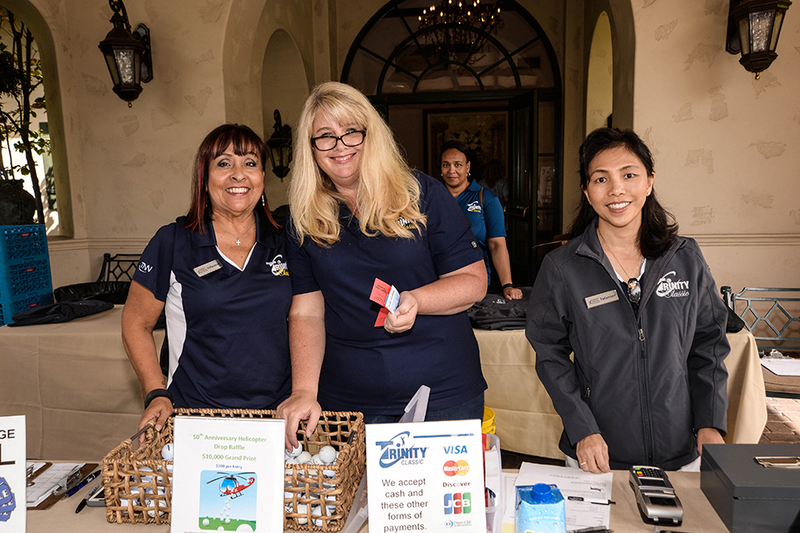 At the Foundation, Linh has volunteered doing gift wrapping for our Holiday Heroes campaign, is a volunteer captain at our annual golf tournament, and has passed out Halloween candy at Claremont’s Spooktacular annual event. At our “Valenteer” Party she received the 2018 “Triniteer of the Year” award for accumulating the most volunteer hours among the many Trinity staff volunteers. Because her position at Trinity does not always allow for direct involvement with the various Foundation campaigns, Linh makes it a point to volunteer outside of work whenever she can. Outside of her job and work with CFA she and her family frequently volunteer at the Santa Ana Armory to feed the homeless. She is also involved with the volunteer groups her church organizes, where they often make hot meals for the needy. Cooking meals was Linh’s first volunteer experience. “It was eye opening. We didn’t realize how many people were out there that needed help. There are so many people in need,” she said. 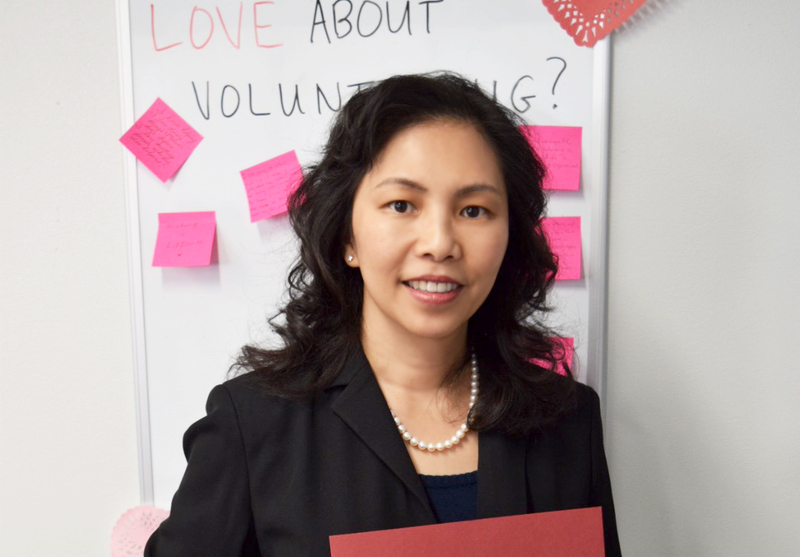 Linh uses volunteering as a way to instill empathy and instruct important values within her family. “My kids volunteer at Trinity. They’ve come with me to work and helped out since they were little. They’ve learned to give back and share. You have to give back, be open, and love others,” Linh said. For those who are considering volunteering, Linh says, “Definitely get involved. It helps you not just feel good, but your body, mind, and spirit benefit too.” In all things, Linh takes a holistic approach. She loves to spend time with her family and exercise. To stay active, she visits the gym, goes on hikes with her family or volunteers! The Children’s Foundation of America is supported by great volunteers like Linh. Click here to learn more about getting involved! Jose is an English literature major at California State University San Bernardino. As a CFA intern, Jose attends and photographs events and writes for our blog. He has previously volunteered with The Prison Library Project. In his free time, you can catch him playing tennis or cramming for his next exam. Vicki Rensch is an artist, teacher and longtime volunteer with the Children’s Foundation of America. Vicki got involved with the Foundation when her daughter, CFA Development Specialist Jenelle Phillips, recruited her for her expertise. Vicki has a long and passionate history with volunteering. Her earliest memory of being active in her community is helping her mom pass out pamphlets and buttons in support of John F. Kennedy’s 1960 presidential campaign. In the 1990’s, her place of work allowed Vicki to volunteer full-time with United Way, an organization dedicated to fundraising and benefiting in need communities. 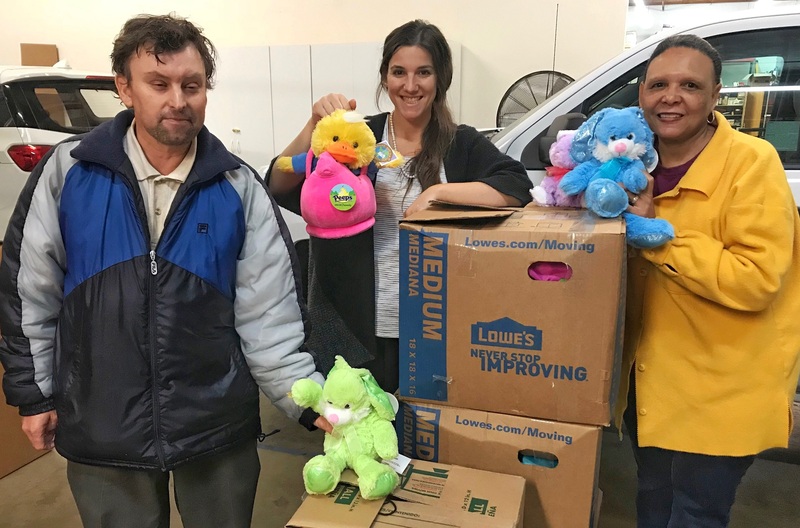 Vicki chose to support the San Bernardino Child Advocacy Group and organized an ongoing toy drive with a goal of 100% participation from the department she was working on loan from. They met that goal in the two years she was involved in the campaign and the department continued the toy drive in the years after Vicki established it. “When I was running the campaign, I brought speakers in to talk about volunteering to help employees realize that making the time to volunteer was so important. I made speeches about the services and research United Way benefits. 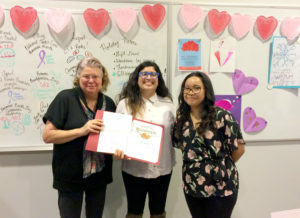 Many of the employees said that their loved ones had benefited from these services and some shared that they were raised in foster care and understood how they have been impacted by many of the things that United Way supported,” she said. She later volunteered with the Girl Scouts of the USA. Beginning in 1993, she started as a troop leader and had became a council trainer for Daisy troop leaders in the early 2000’s. She helped Senior Girl Scouts become Gold Award recipients, provided support for girls interviewing into the Rose Parade Tournament Troop and organized a trip for girls to travel to Savannah, GA to visit the birthplace of Girl Scouts Founder, Juliette Gordon Low. At the Foundation, Vicki is a Volunteer Lead for appeal mailing, directing volunteers in mailing our constituents and is a support volunteer at many of our events. Her and her husband can also be seen at our various fundraisers supporting the cause. Vicki’s hobbies include creating art, photography and visiting historic landmarks. However, her favorite and most fulfilling pastime of all is volunteering. “When my hobbies allow me a chance to also take part in volunteering I am at my most complete.” For example, Vicki volunteered 20 years in a row as a photographer for Grandparent’s Day at a local elementary school. “It brings me great joy to know someone has grown up cherishing that special bond of family though a picture I took,” she said. Vicki stepped up as a CFA Volunteer Leader because, “I was needed,” she said. “CFA is a quality, well established organization for children and I saw a need that I could fill. They are a well organized group whose mission is to help children by making volunteering fun and easy. The staff is very friendly, gracious and helpful and everybody makes you feel like a valued member of the team,” she said. The Children’s Foundation of America is supported by great volunteers like Vicki. Click here to learn more about getting involved! 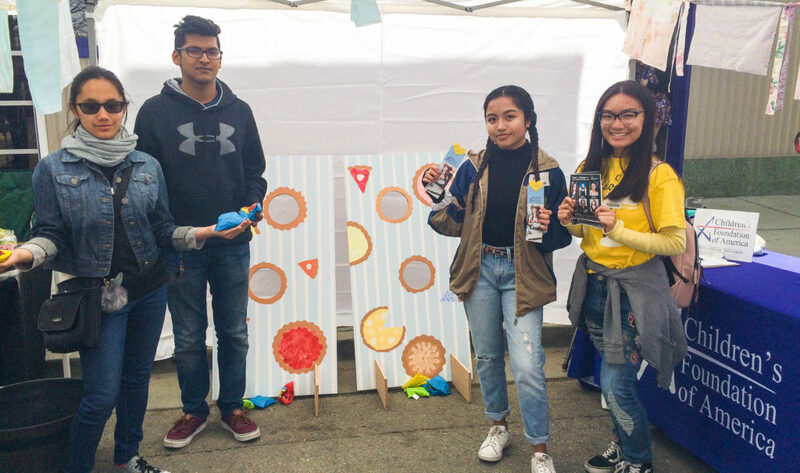 Lion’s Heart Service is a nonprofit group that curates, creates, and encourages opportunities for teens and children to get involved in their community. 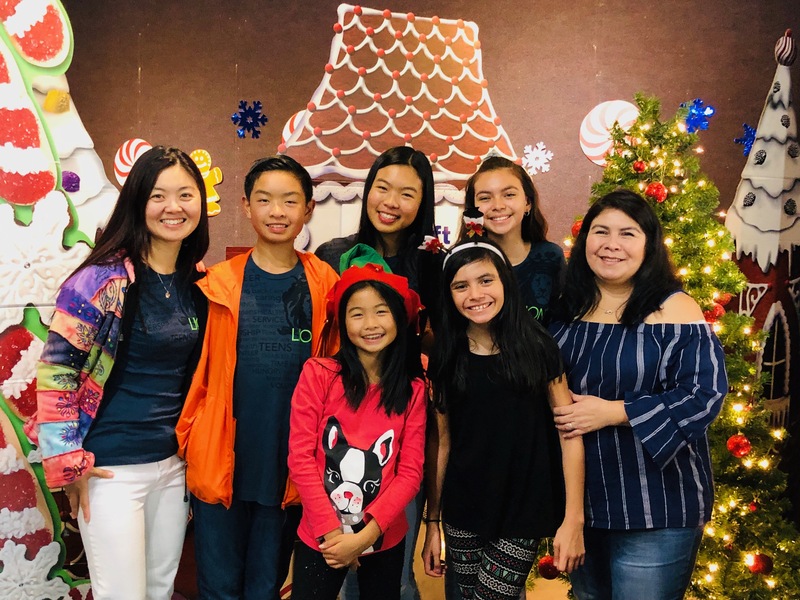 Their Upland chapter rigorously donates their time to making a difference, accumulating a total of 77 volunteer hours with the Children’s Foundation of America since their chapter was founded in 2017. They’ve volunteered at rescue centers, senior homes, local food banks, churches and various other organizations. With the Foundation, Lion’s Heart has assisted in our Back-to-School drive and our Holiday Heroes campaign. 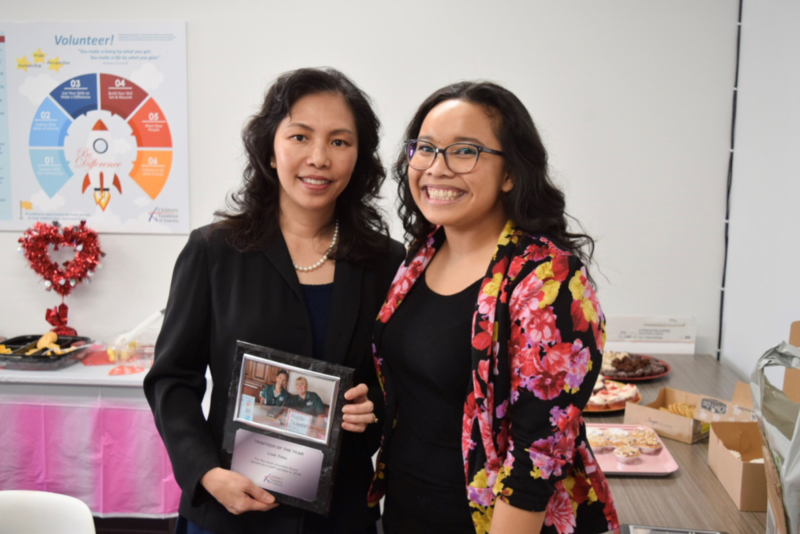 Sylvia’s daughter, Vanessa Wong, founded their chapter to encourage the people around her to get involved. “Friendship is her priority and she wanted to do something as a team. Volunteering is always on her mind,” Sylvia said. 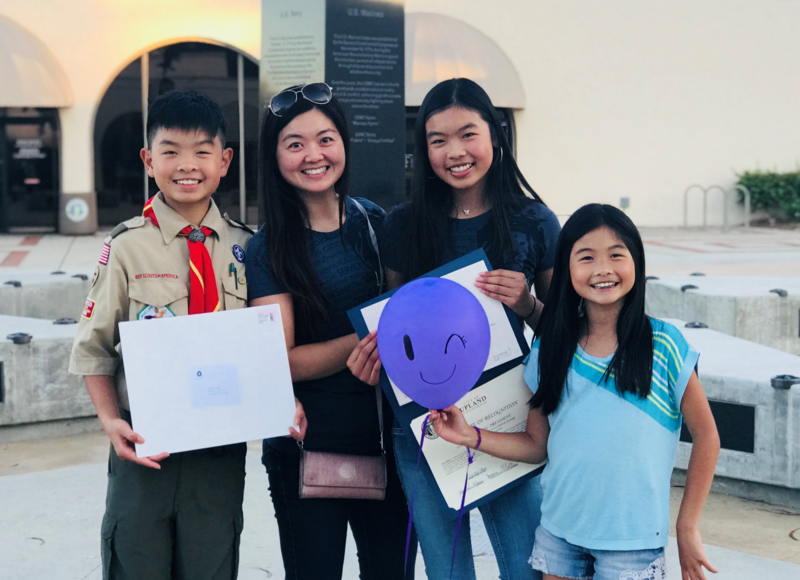 In 2018, the Upland City Council recognized Lion’s Heart members Vanessa Wong, Alyssa Mao and Karis Yoon with the Presidential Volunteer Service Award for accumulating 75-100 volunteer hours. Benjamin Wong, Sylvia’s son and frequent Lion’s Heart volunteer, also received an award from the Kiwanis Club. Lion’s Heart holds leadership and gratitude as their core values. Teaching youth to volunteer in their free time is invaluable to Lion’s Heart. Sylvia’s hope is to spread awareness about the many volunteer opportunities. “I tell the adults you have to get your kids out there and do this,” she said. “There are so many parents who want to get their families involved in volunteering and don’t know where and how.” Lion’s Heart and the Children’s Foundation of America can help! Sylvia believes there are some real benefits to volunteering, saying, “It is a form of therapy, to zoom out of the business world and find some happiness in what we’re doing in the moment.” She said working with the Foundation is “is great, because it’s helping kids that are at a turning point in their lives, where they can go forward.” She stressed that volunteering benefits everyone involved, boosting needed skills that transfer to all areas of work and life. Syvlia’s Lion’s Heart group is passionate about being involved, and the children “choose volunteering as their top priority.” CFA is supported by great volunteers like Sylvia and Lion’s Heart. If you would like to know more about getting your service group involved, click here! 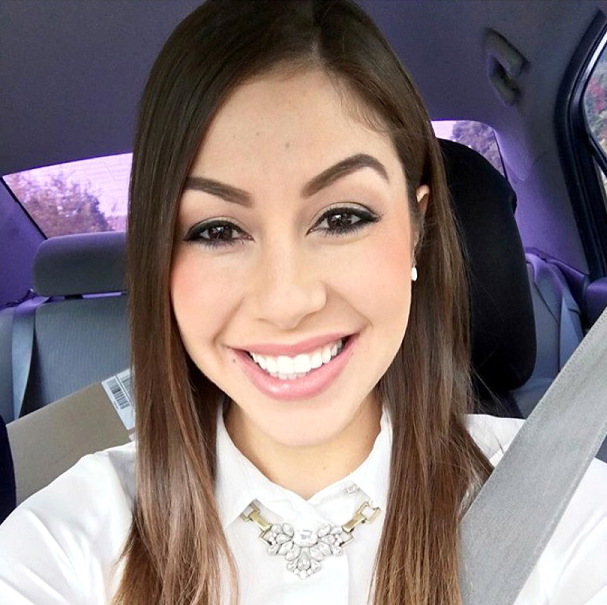 Lillian Sibrian is an undergraduate student at California State Polytechnic University, Pomona. Her first volunteer experience was cleaning a community park with her school’s National Society of Leadership and Success. 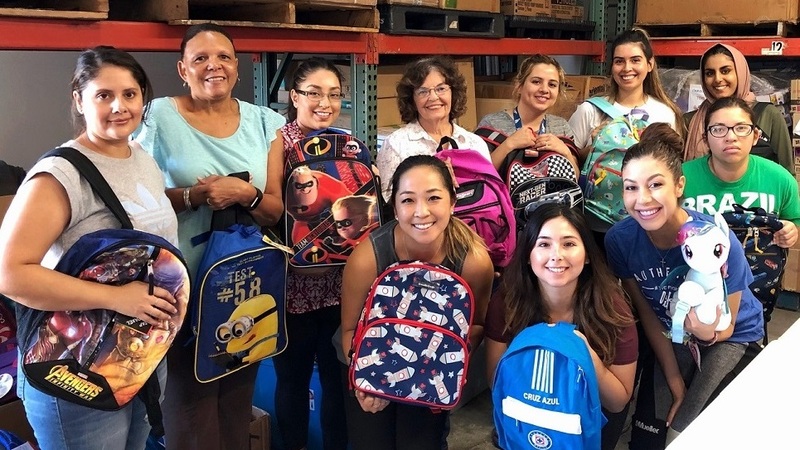 With the Children’s Foundation of America, she has participated in events like our Back-to-School drive, Halloween Outreach Prep, Village Venture tabling and the Holiday Promenade photo booth. Although Lillian is kept busy because of her studies, she’s decided that volunteering is a necessary and important way to spend what little free time she has. 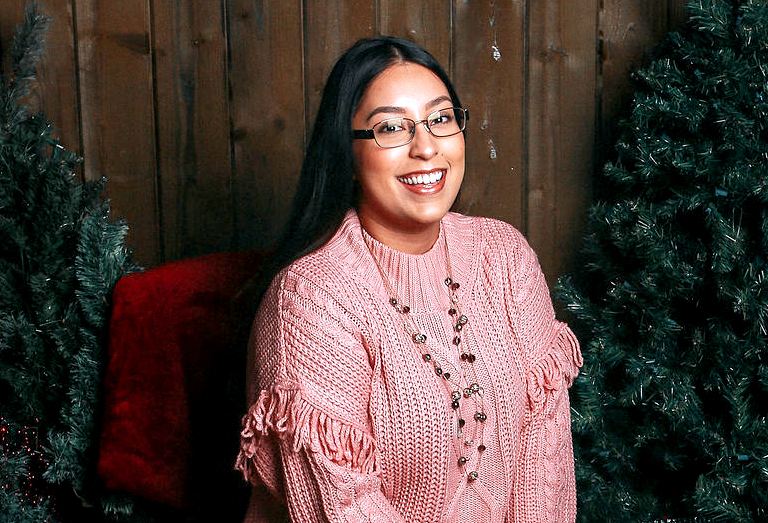 “I came to the decision that a portion of the free time I do have should be spent not only helping others, but helping myself become a better person,” she said. Lillian first learned of the Foundation through a friend and former CFA intern. She first volunteered in August 2018 and continued volunteering on a regular basis. Her favorite CFA event has been the Claremont Holiday Promenade, where she and a friend helped run the photo booth sponsored by Lyks! Creatives. When she is not volunteering, Lillian can be found visiting Disneyland, reading, baking, or watching criminal documentaries on Netflix. CFA is supported by great volunteers like Lillian. If you would like to know more about getting involved, click here. 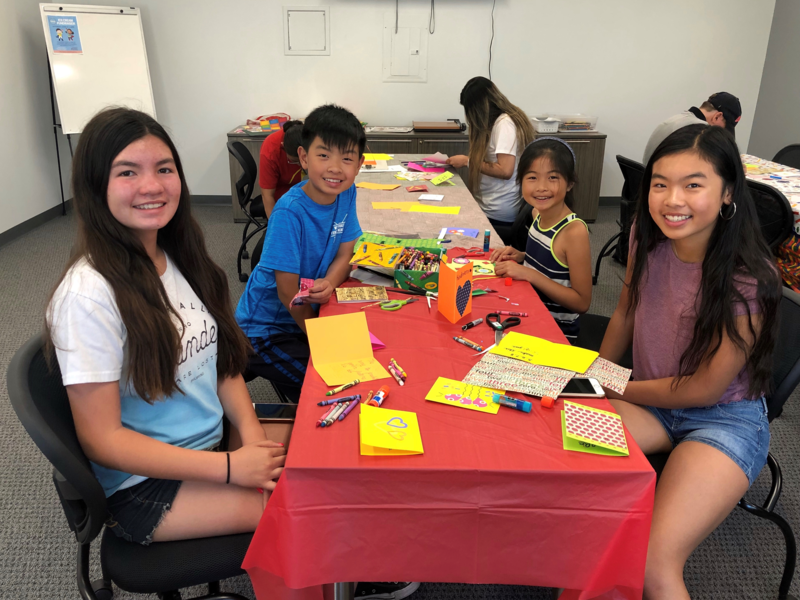 The Key Clubbers from Etiwanda High School have volunteered many times with the Children’s Foundation of America, from fundraising events in the community to card making for our Back-to-School drive for foster youth. Key Club is an international organization where high schoolers around the world build character and leadership through volunteer service. 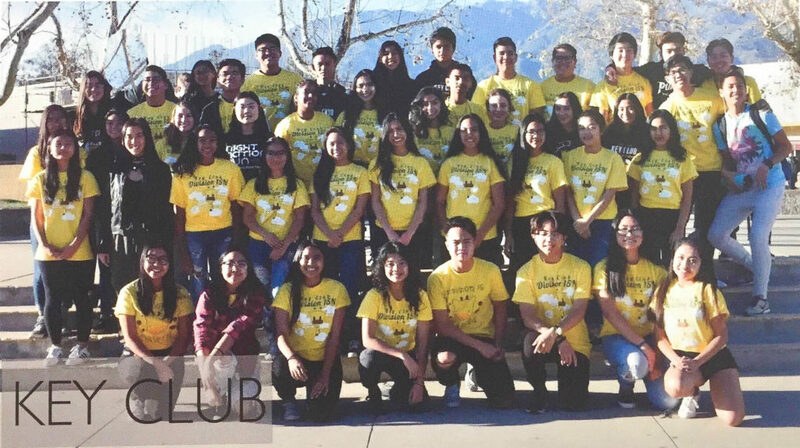 EHS Key Club is one of thousands of Key Clubs in 38 countries. It is part of Division 15 North, Region 13 in the California-Nevada-Hawai’i District and has about 80 members from Etiwanda High School. 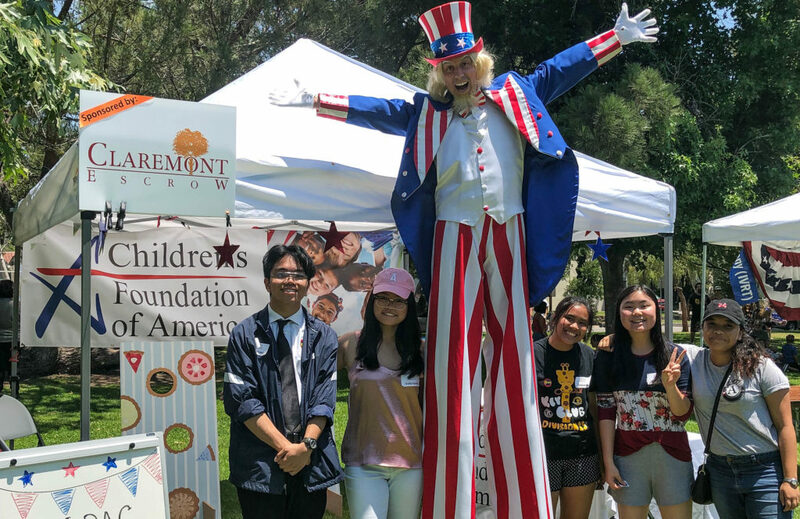 The core values of Key Club International are leadership, character building, caring and inclusiveness, which the members from Etiwanda High School have demonstrated by volunteering with Children’s Foundation of America. 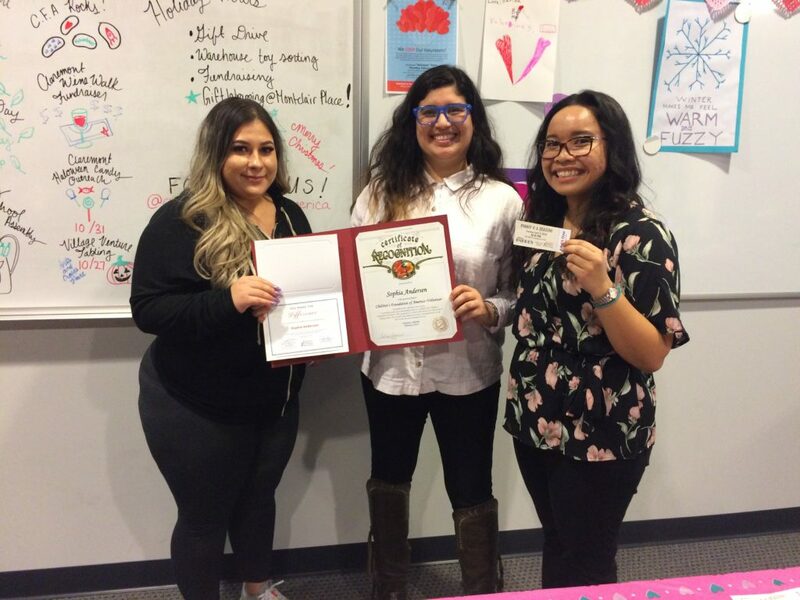 EHS Key Clubbers have helped make motivational cards for foster youth, helped us raised awareness at community festivals and participated in our fundraisers. Lance said his favorite CFA event was the Fourth of July Celebration, where they helped raised $221 in donations through our bean bag toss game. “It was fulfilling to know that we were helping raise funds for foster children so that they may enjoy their lives like the children playing the bean bag game,” he said. Xiaoqing also explains that their mascot is a giraffe because they wish for their Key Club members to have arms as long as the necks of giraffes so they can reach as far as possible to help people. Whether you’re part of a Key Club or just want to volunteer, click here to learn more about how you can get involved and Be the Difference in the lives of children in need. Marie creates content for social media, writes blogs and coordinates volunteer opportunities and events. She enjoys connecting with volunteers of diverse backgrounds and getting to know their unique stories. She has earned two associate’s degrees from San Bernardino Valley College and a bachelor’s degree in Communication Studies from California State University, Fullerton. In her free time, Marie loves going to Disneyland, writing, playing ukulele and board games, and dancing. Since last year, Jim has volunteered with CFA 11 times and was recognized at our annual “Valenteer” Party. 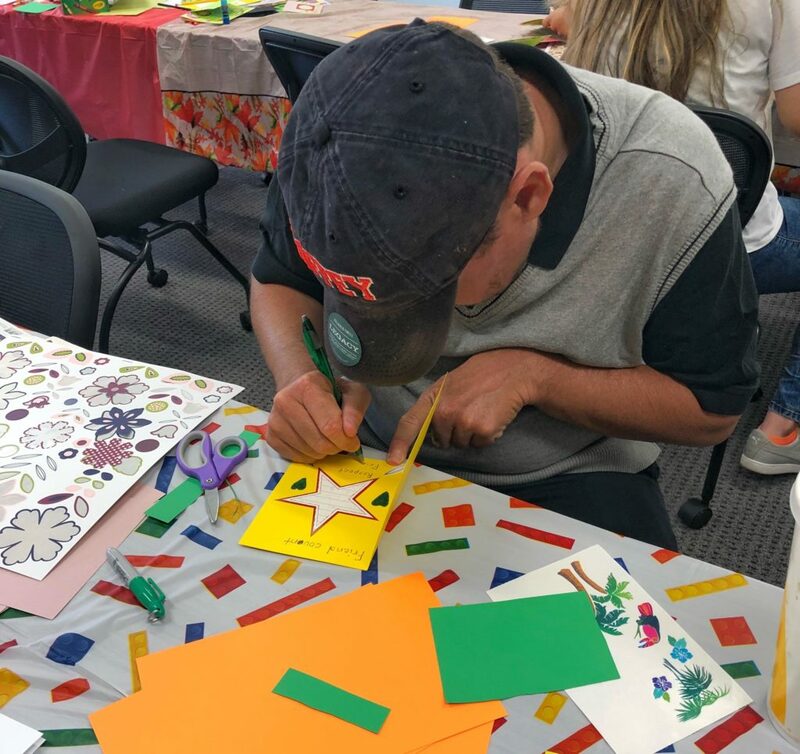 He has helped make cards and no-sew scarves for foster youth, fundraised at our Claremont Earth Day booth and assembled art supply and spring care packages in our warehouse. When Jim isn’t volunteering or studying hotel management at Chaffey College, he enjoys going to Disneyland, camping, hiking and playing bocce ball and soccer with the city of Rancho Cucamonga. CFA relies on the dedication of volunteers like Jim to continue its mission to help children heal, learn and thrive. If you’re interested in getting involved, click here to learn more. 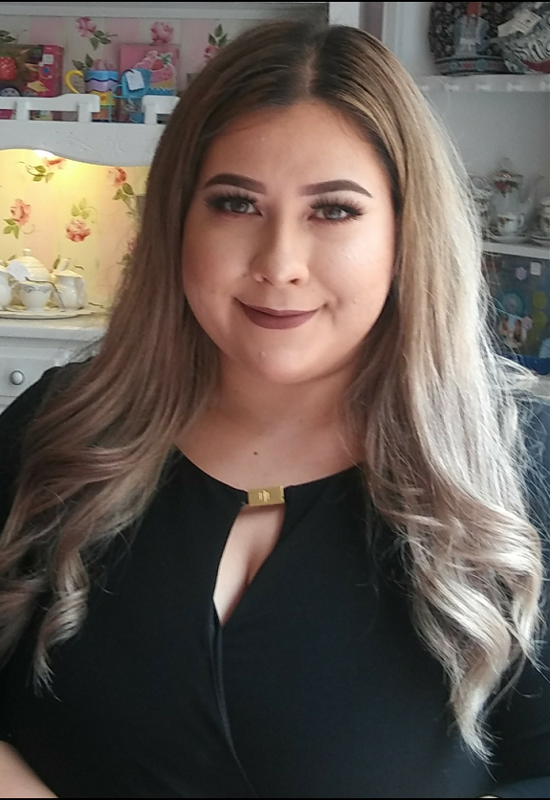 Sophia Nyborg-Andersen is a student at California State Polytechnic University, Pomona, studying Business Management and Human Resources. On weekdays, she works as a student assistant in the biology department on campus and on weekends as a hairstylist in Pasadena. She has volunteered her hair styling talents in the community giving free haircuts to children before going back to school. 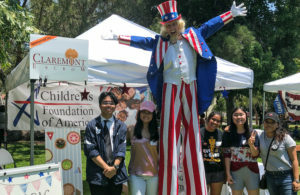 Sophia is a regular volunteer of the Children’s Foundation of America, having volunteered almost 10 times, making cards for kids, tabling at the Claremont 4th of July Celebration and assembling art and school supply care packages. She found CFA through VolunteerMatch.org and liked the flexibility of events and closeness to home. To learn more about how you can give back and get involved like Sophia, click here. Marie is serving with the Children’s Foundation of America as an AmeriCorps VIP (Volunteer Infrastructure Project) Fellow. Her main goal as a VIP Fellow is to expand the volunteer programs at the Foundation and develop an effective, sustainable volunteer infrastructure. She creates content for social media, engages with volunteers and supports the Foundation team with coordinating events and volunteer opportunities. 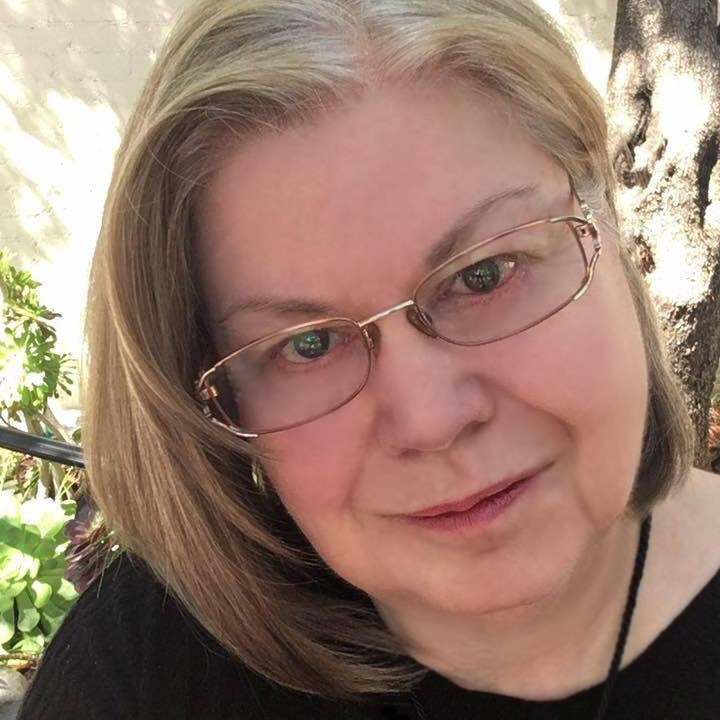 Marie has earned two associate’s degrees from San Bernardino Valley College and a bachelor’s degree in Communication Studies from California State University, Fullerton. She has always been driven to do meaningful work by helping others and is excited to inspire volunteerism in the community. In her free time, she enjoys going to Disneyland, writing, playing ukulele and board games, and dancing. 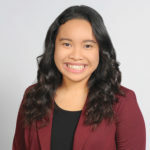 Christine Pinedo is a graduate student at Loma Linda University, pursuing her master’s degree in Occupational Therapy. 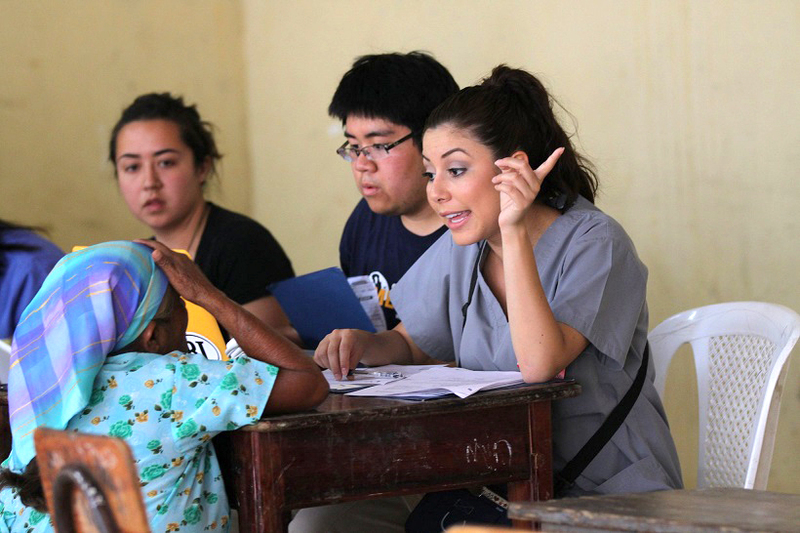 Her first volunteer memory was in high school when she volunteered at Casa Hogar, an orphanage in Tijuana, Mexico. As a pediatric occupational therapist, Christine helps children with various impairments, including physical, social and cognitive disabilities. 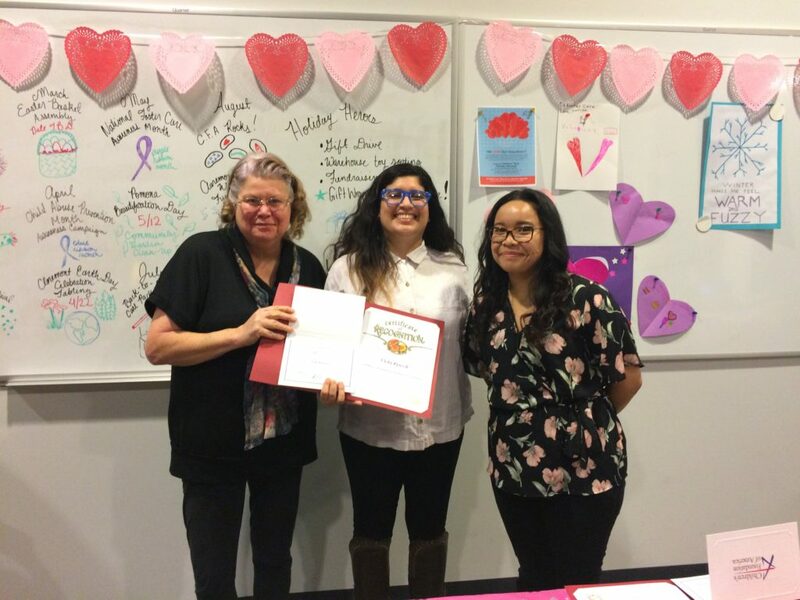 Christine had been searching for an organization that serves children in the community when she was introduced to the Foundation by her classmate and CFA volunteer, Delilah Debellis. 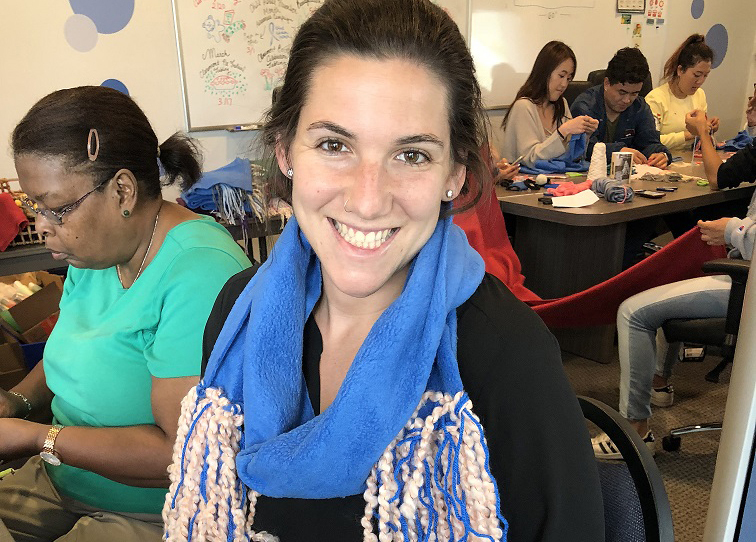 In the past few months, Christine has helped make blankets for Warm & Fuzzy February, prepare flyers and blue-ribbon pins to distribute in the community for Child Abuse Prevention Month and help set up for She Stories, a special Foster Care Month event. “I feel it is important to advocate for children especially those in special situations because most of the time they do not have a voice for themselves,” she said. CFA relies on the dedication of volunteers like Christine to continue its mission to help children heal, learn and thrive. If you’re interested in getting involved, click here to learn more. Katherine Carrasco learned about volunteering with the Children’s Foundation of America through a newsletter email to Trinity Youth Services staff. She is a first-year graduate student in the school of social work at California State University, San Bernardino and her interest in working with children led her to Trinitys’ Rancho Cucamonga foster care office for an internship. Her responsibilities include auditing the files of foster children and resource parents, working with Treatment Foster Care Social Workers on their cases and monitoring visits with foster children and their natural families. “I have learned so much at Trinity in my time here. Before my internship, I did not have the slightest idea how the foster care system worked,” Katherine said. Through her experience with Trinity, she now has an understanding of the standards to become a resource parent, the importance of collaboration between the foster agency and the county and how to work with trauma-affected youth. In the past few months, she has volunteered with the Children’s Foundation of America to help with Child Abuse Prevention Month outreach, mailing spring appeals, assembling spring goodie baskets and making scarves for foster children. She hopes to continue volunteering with the Foundation and encourages others to volunteer as well. Outside of volunteering, Katherine enjoys hiking and reading and owns about 450 books in her home library. Her favorite young adult novels are the Harry Potter, Hunger Games and Divergent series. 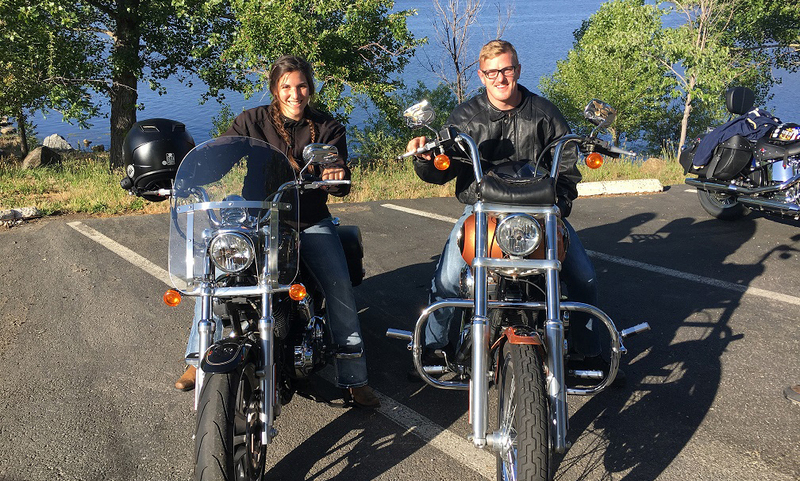 She even named her first motorcycle Beatrice after the main character in Divergent. “Helping children and foster youth in the community is a feeling that cannot be found elsewhere,” Katherine said. 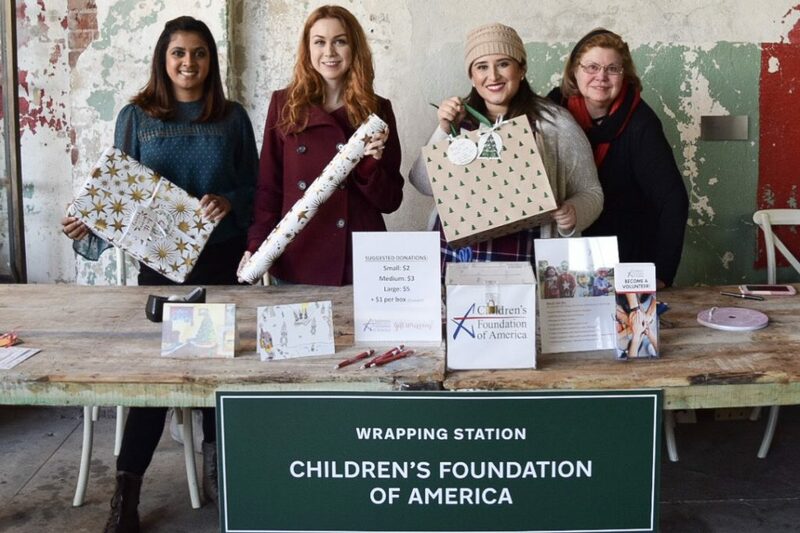 Click here to find out more about volunteering with the Children’s Foundation of America. 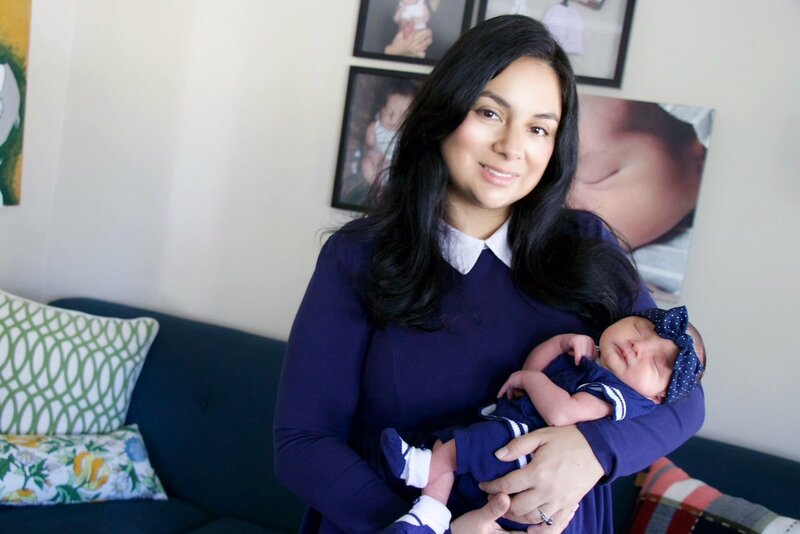 Brisa Sifuentes is a stay-at-home-mom of a 3-year-old son, León Hernandez and newborn daughter, “Baby Brisa” Hernandez. She and her husband, Mario Hernandez, were drawn to the city of Claremont by the “sense of community.” Now, a year after moving to Claremont, she is the steward of Claremont Little Free Library and runs the Instagram and Facebook account “ClaremontMom.” Her active involvement in the community led her to become a frequent volunteer at Children’s Foundation of America (CFA), from wrapping gifts at the holiday gift wrapping booth to making fringe blankets and positive cards for children in foster care. 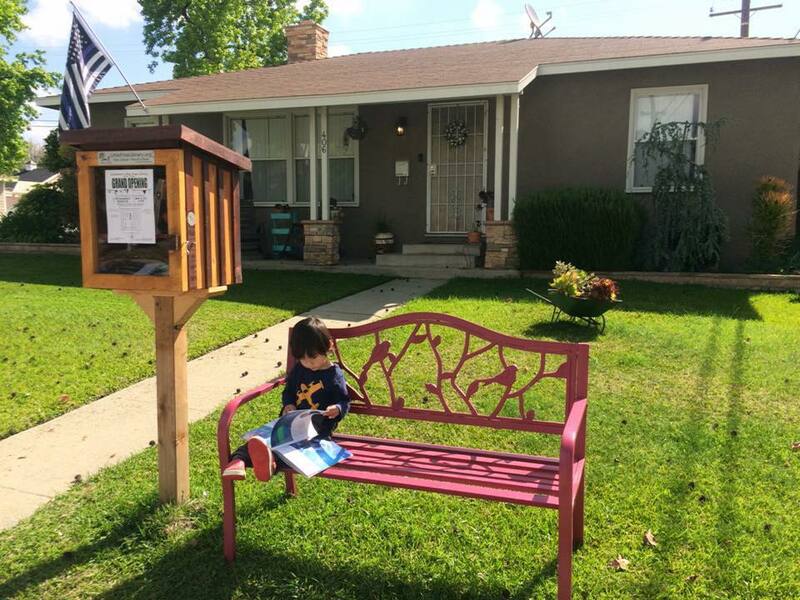 She and her family love to be surrounded by books and thought that Claremont would be the perfect setting for a Little Free Library, which is a neighborhood book exchange where people can take a book or leave a book. According to the official Little Free Library website, as of 2016, there are over 50,000 little libraries registered in the United States and over 70 countries around the world. “After installing our library, we had a great response and there have been so many frequent visitors,” Brisa said. “We love sharing the joy of reading and seeing the influence it can have on our local children.” She has even hosted book drives through her Little Free Library, where she collected new books to donate to CFA. “It’s essentially Claremont through the eyes of a local mom,” she said. 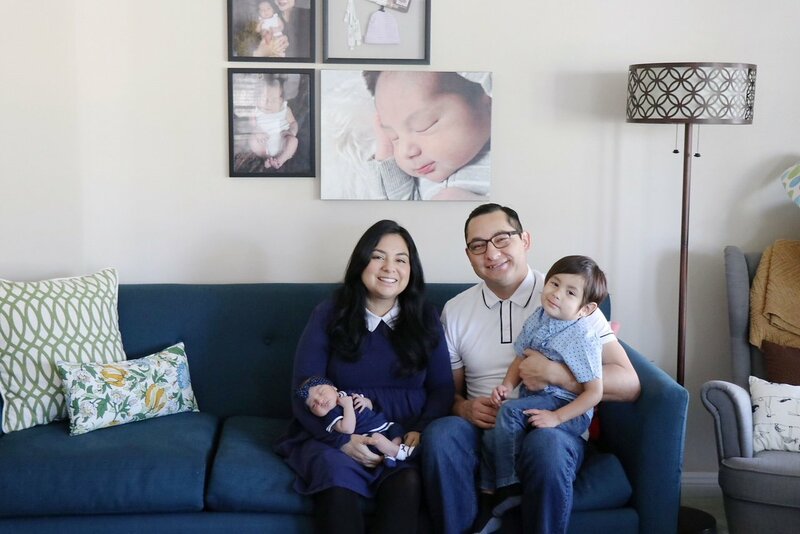 “Being new to Claremont and hearing about all the great local events and groups, I felt like there needed to be a “one-stop-shop” for moms like me to hear about everything going on.” Her posts are gathered from other local Instagram and Facebook accounts, as well as her groups and talking with people in the community. Outside of volunteering, Brisa enjoys camping and hiking, taking her kids to the LA zoo and botanical gardens or watching the latest movie with her husband when they get a chance. She also enjoys gift wrapping and decorative crafts like flower-arranging and wreath-making. If you’re inspired by Brisa’s “Claremont Mom” story, join her in getting involved in the community and being the difference. Call 909.426.0773 or email volunteer@trinityys.org to begin volunteering.